Forced Relaxation, Pavel's advanced relaxation techniques. How sure are we that Relax into Stretch (paperback) will work for you? Simply fill out the form below and put Relax into Stretch (paperback) to work for you right now. Obviously, we would go out of business if Relax into Stretch (paperback) didn't work, the way we said, right? With the promise of a full refund if you're unsatisfied, you have nothing to lose by trying Relax into Stretch (paperback). Go ahead and try it today. You have to be careful throwing superlatives around when talking about a new idea or product lest you be mistaken for a brainless, giddy cheerleader. I tell you truly that 'Relax Into Stretch' is superb; I'd run out of superlatives and might sound like a cheerleader so I won't go the traditional praise route. Why is this book so important to the fitness community? Stretching has always been associated with any serious fitness effort and Tsatsouline's approach to this old discipline is fresh and unique and thought provoking. 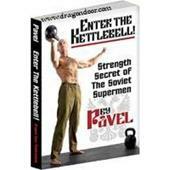 Best of all, this book combines philosophic insight with in-your-face reality as Pavel shares with the reader 'drills' that turn you into what this former Russian Spetznaz instructor calls ' a flexibility mutant'. What red-blooded American fitness devotee wouldn't aspire to mutation? This book supplies both the road map and the methodology. Don't ask to borrow my copy." "Pavel has great ideas on flexibility and strength exercises." "Conventional stretching attempts to literally elongate your tissues, which is dangerous and ineffective. Relax into Stretch simply teaches your muscles to relax into a stretch. If you compare traditional training to a messy hardware reorganization, then Relax into Stretch is an efficient software upgrade. While stretching tissues may take years, changes in the nervous system are immediate! Your muscles will start noticeably elongating from your first Relax into Stretch practice and within months you will have achieved a level of flexibility uncommon to our species." Plateau-busting strategies for the chronically inflexible. intensive and extensive learning methods. maximizing perceived safety in the stretch. why it works to pre-tense a stretched muscle. why isometrics is more practical than weights. avoiding the dangers of hyperventilation. tips for the correct release of tension. mastering the Golgi tendon reflex. The function and limitations of your ligaments. why stretching won¹t help a bad back and what to do instead. what's best for older folks. why isometric stretching should be the last exercise you do in your day. How much flexibility do you really need? warning examples from sprinting, boxing and kickboxing. high total time under tension. How to exceed your old limits with the stepwise progression. This book tells you HOW and WHY and WHEN to stretch. 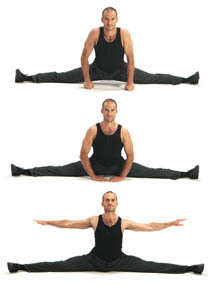 The photos make it easy to learn the various stretches. This book allows anyone to customize their own stetching program to exactly what their own focus needs to be. I use it as a powerlifter, my wife uses it as a dancer, my boss even used it to get ready to take a ski vacation. A must for every athlete. Pavel provides the ultimate in stretching techniques. If you have spent any time in your life being instructed to stretch tendons and ligaments, you now have the ability to lay those dangerous myths to rest and get on with stretching that not only works like a miracle but makes you feel incredibly good. So good I can't put it into words. Pavel will tell you the rest. Rated 10/10 Stop wasting your stretching time! Pavel lines out more information on stretching than I got during the entire 6 years I spent earning a Bachelors degree in exercise physiology and Masters in physical therapy! The information is clear, easy to read, and works like a charm! I've stretched fairly aggressively over the years with the knowledge I had, but I've made significant gains over the past couple weeks with the information contained on these pages! If you want to do the splits you should get this book! By R. Friederich / Manassas, Va. I bought the book as a supplement to the DVD. Frankly the book is quite expensive, and I was concerned whether the amount of material contained therein is worth the cost. However, the quality of the information, on both the DVD and the book, most certainly is. I am recovering from a back injuty that had me laid out for 5 weeks. Part of the reason for the injury, I am convinced, was from a lack of flexibility. Too much muscle and not enough flexibility. I intend to use Relax Into Stretch and Super Joints, along with yoga and other stretching routines, to ensure I never go though that again. I can already say, it is working well in this regard! Rated 10/10 Best stretching book ever! I have purchased almost every book and video on stretching available, and without question this is the best, in my opinion. A great source of information and options for every stretch. 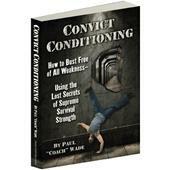 A great book to own, particularly for martial artists! Worth more than I paid for it! One of the best books on stretching I've read. More than just a collection of stretching exercises. It includes essential descriptions of how to make your muscles relax, so you can stretch them to better results. I would automatically give this book the highest possible rating on any scale because I've yet to learn about a more effective method of developing flexibility. When I first read this book, I was 6 inches from doing a full side split and couldn't go down any further. 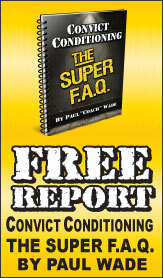 This book provides a method that will work when all else fails. After six weeks of using the principles contained in this book in my own flexibility training, I did my first full side split. However, it is very tough. I think that the process of developing extreme flexibility is inevitably painful and uncomfortable. However, this book teaches a person how to distinguish between the pain of progress and the pain of injuring yourself. Lots of the former will result in all the flexibility a person could ever possibly need. I have tried a lot of stretching programs and I would recommend this one because it is the most efficient that I have seen and the only one that I think would guarantee results. ris, is the BEST, practical, book on the subject, paval does not bog you down with scientific jargon.The book can make a more fuctional person, raise a martial artist's skill, and it has raised the bar...the cossack stretch, is really excellent for a chamber postion for kicking,..i use it daily!my splits are over 180 degree and easier maintained, less work...i highly recomend this book to ANYONE, looking to better thier mobility, Paval, thank you, i cant emphisise that enough! and ive only had the book three weeks!